For me, London is without doubt the most interesting rail centre in the UK – it has the densest network of lines, the largest number of services, the greatest number of major termini and suburban stations and, above all, the greatest variety of traction. I have lived and worked in, commuted to and visited London and its environs since the 1950’s, although my interest in railways didn’t start until about 1960/61. Initially I had no camera to record what I saw and my knowledge of what I was looking at was hazy to say the least! But from 1962 I started taking photographs with a very basic Brownie 127, soon progressing to a Halina 35X Super (though it wasn’t very ‘super’) and eventually various SLR’s and DLSR’s. My main interest in the early years was steam but, unlike most of my friends, not confined to that. My friends thought it a little treacherous that I photographed the early diesel locomotives – even the diesel hydraulics – that were replacing our beloved giants of steam. But they thought me mad to be exhibiting even a slight interest in DMUs and Southern EMUs; the latter as objects of interest was beyond their comprehension! But how glad I am that I ignored their bewilderment and peer pressure to photograph only steam – and preferably Great Western steam! Even though I have dreadful shots of LMS No.10001, DP2, 20001, 4-COR’s and 2-BIL’s because of my poor cameras (I always blame my tools), at least I have a record of them. Photographs of these classes do not feature in my book because of their poor quality but other shots of what might still be considered ‘gems’ in the traction world are included. 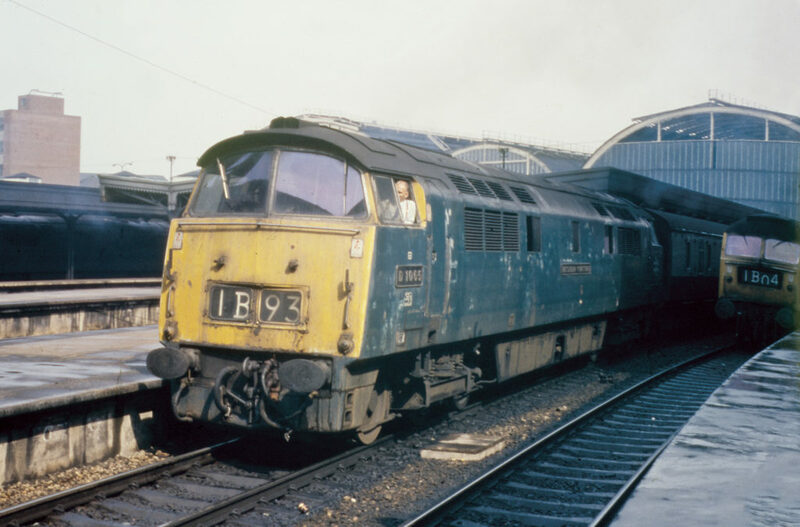 There are several pictures of diesel hydraulics, one of the ‘Blue Pullman’ (sadly a ‘near miss’ in preservation), BRC&W Class 30’s before they were re-engined and became Class 31’s, Baby Deltics, the short lived BTH and North British Type 1’s, the last ‘Bournemouth Belle’ and loco-hauled Moorgate/Kings cross commuter trains. Such photographs date from my youth in the years BC – Before Cids! Following the end of my student days in 1972, I left South Wales for East Sussex and my modest knowledge of Southern EMUs swelled immeasurably. A few years later, I moved to various northern and south western suburbs of London which led to me commuting on SR, LMR and ER EMUs into Victoria, Waterloo, Euston and Liverpool Street. This resulted in the growth of my interest in not just those termini but also the traction which got me there. The locations of the photographs in my book reflect my favourite stations or ones which were convenient to visit at a particular time. Having been brought up in South Wales, inevitably Paddington and stations on the former Great Western lines were a firm favourite. But running close was Kings Cross. Although not as large or as spectacular as Paddington, Kings Cross is such an architecturally well-balanced building that I find it the most attractive London terminus. Moreover, although the uniquely-styled ‘Westerns’ remain my favourite diesel locomotives, the ‘Deltics’ were nonetheless a huge attraction – the most powerful diesel locomotives in the world at the time. Hence Paddington and Kings Cross are probably over-represented in my book. 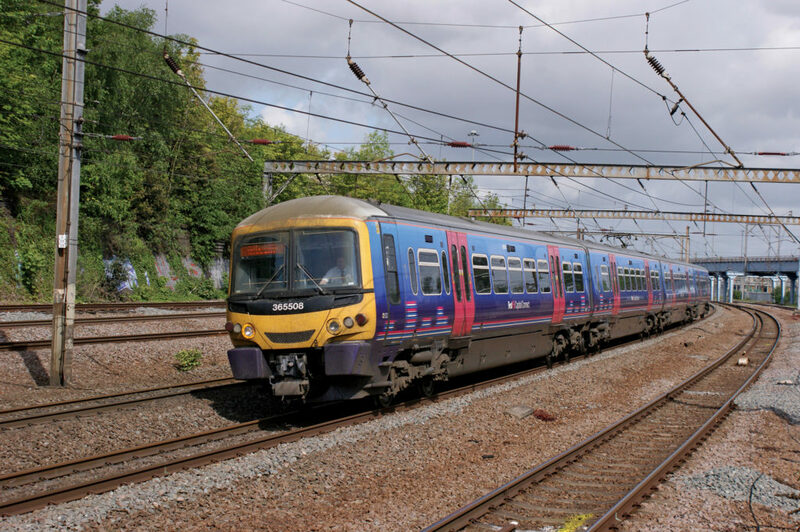 The era of HST’s and the electrified West Coast Main Line and East Coast Main Line added to the great variety of traction to photograph and again, some classes I found more interesting than others, most notably the HST’s and Class 90’s. These therefore tend to feature more in my book than others. 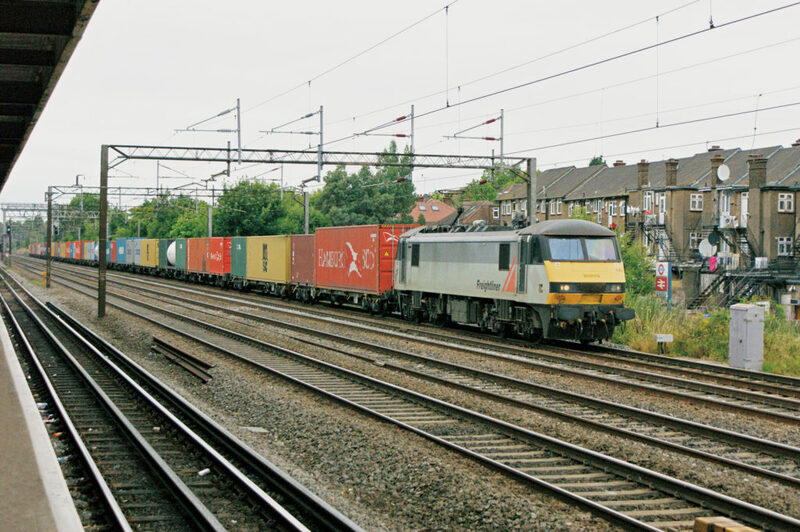 There were periods when I was not working in London and rarely visited because of family and career commitments, so there are large gaps in the timeline of my railway photography there. It was only later in my career when I worked a lot in London (though based and living in Bristol) and after my retirement when I had more free time that I had the chance to enlarge my photographic collection of London traction. The changing nature of the traction and locations over the decades is evident in my book. And changes continue apace with the electrification of the Great Western Main Line and, maybe, the rebuilding of Euston as the London termini of HS2. 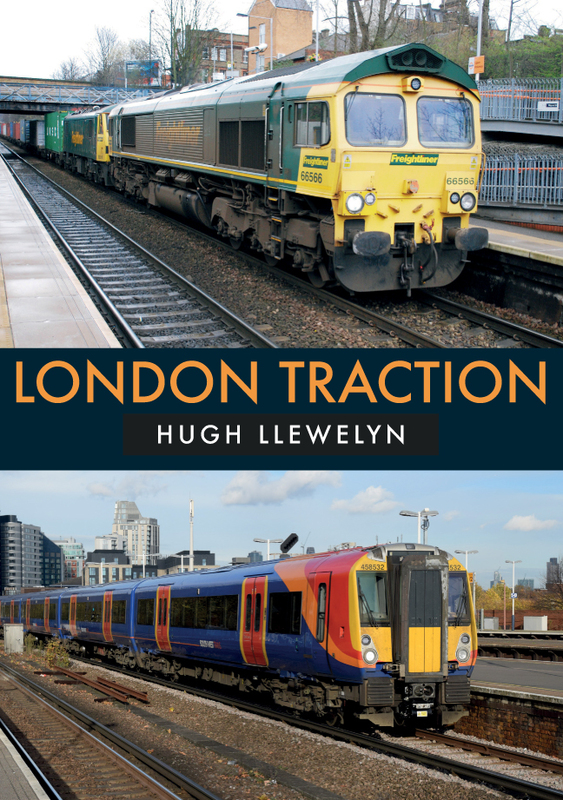 Hugh Llewelyn's new book London Traction is available for purchase now. 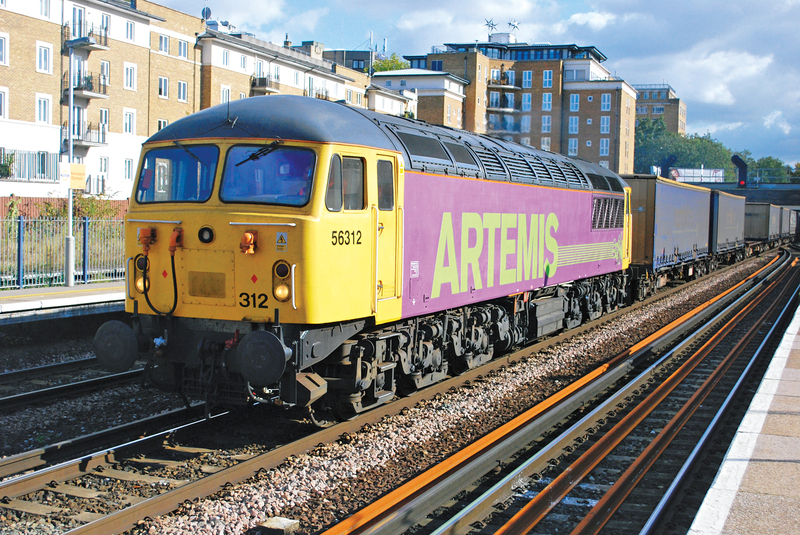 This entry was posted in Blog and tagged Great Western Railway, GWR, Deltics, EMUs, Hugh Llewelyn, London Traction, DMUs, Traction, Transport, London, Amberley Publishing, railways on October 23, 2018 by Amberley Publishing.